The California Council on Teacher Education (CCTE) plays host to Special Interest Groups (SIGs) that meet at CCTE Conferences. SIGs are open to all interested members. Click any name to send a message to the SIG coordinator. The arts are a fundamental part of all our lives-and so should be a vibrant part of teacher education. Come explore these issues with a dedicated group during the Arts SIG meeting at the CCTE conference. Visit this SIG’s page. This new SIG is exploring and advocating for inclusive education and for collaboration between general educators and special educators. Provides an avenue for continuing exploration of the work of BTSA programs and the role of induction in the California teacher education continuum and the relationship and integration of these efforts with preservice teacher education. Offers opportunities for coordinators of credential programs at colleges and universities across California to exchange information, discuss issues, and develop coordinated plans. 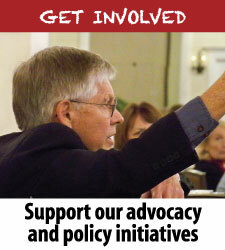 Seeks to offer augmented support for a democratic vision in the field of teacher education. This new SIG will meet to organize and share our work on Linked Learning, California Career Academies, Common Core Standards, and other college and career readiness initiatives. The Technology SIG is focused on the use of technology to enhance the teaching profession, especially in areas where technology resources can be leveraged to create more equitable learning spaces for all students. We aim to promote the sharing of effective technology infusion in K-12 settings through meetings and workshops at the semi-annual CCTE conferences, as well as via an online presence on various social networking channels. Offers an opportunity for discussion and exchange between teacher educators interested and involved in the field of special education. Explores issues related to pedagogy and subject matter in undergraduate teacher education programs. 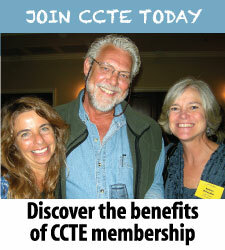 Please click here to view a brief presentation about CCTE produced by the CCTE Membership Committee. Please click here to go to announcements of teacher education employment opportunities and special events at colleges and universities that are institutional members of CCTE. The Spring 2019 issue of CCNews has been published and is available by clicking here or going to the newsletter section of the CCTE website. 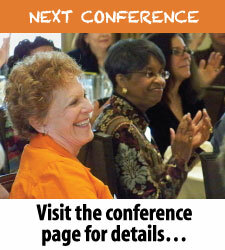 This issue features a message from CCTE President Virginia Kennedy, a final announcement and registration form for the 2019 SPAN Conference to be held in Sacramento on March 21-22, and many other items and articles. Click here for the announcement of the CCTE Spring 2019 Conference, our third annual Spring Policy Action Network Conference, to be held March 21-22 at The Citizen Hotel in Sacramento. Included is an overview, the tentative program, the registration form, and the call for proposals. The first state-level Clinical Fellows Symposium will be held on October 19, the final day of the CCTE Fall 2019 Conference in San Diego. The Symposium will be a unique opportunity for P-12 and university partners to explore clinical practice in teacher education. Click here to view a PDF announcement of the Symposium, and click here for the on-line registration form. All institutional partners in the Intersegmental Project are asked to support the effort with annual dues ($100 for CCTE institutional members; $200 for other institutions). Such payments may be made in combination with annual institutional dues to CCTE, or by using the Paypal form linked here. While this special CCTE publication will be introduced at the Fall Conference, copies are now available for review and purchase. See an announcement, order form, and on-line ordering link under “publications” on this website. Interested in educational technology? Visit the Technology SIG site.